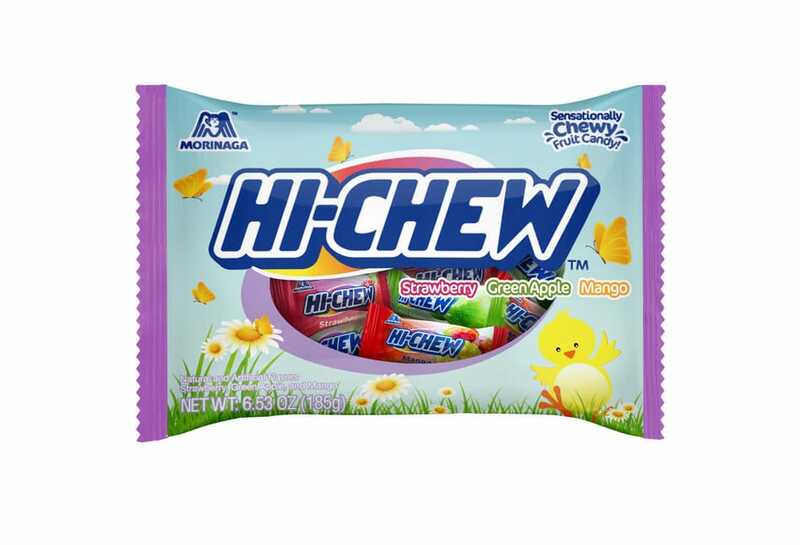 (Irvine, California) March 21, 2017— If you weren’t already jumping at the fact that it’s finally spring, Morinaga America, Inc. is debuting a new, limited edition Hi-Chew Spring Mix bag for the whole family to enjoy just in time for the Easter holiday! Offering three refreshingly delightful flavors—Strawberry, Green Apple and Mango—the Spring Mix bag makes for the tastiest treat and has parents and kids alike looking to enjoy all season long. The new Spring Mix bag is filled to the brim with classic flavors Hi-Chew fans constantly crush on. Made with real fruit juices and purees, the sensational chews reveal vibrant juicy flavors and classic pastel colors, perfect for Easter-themed eats and décor. Whether you’re looking to decorate baked goods, fill Easter eggs for family egg hunts, or simply bulk up your children’s baskets, the Spring Mix bag is a simple and delicious way to surprise and delight the ones you love. Strawberry: The sweet, satisfying flavor of your favorite summer fruit. One piece of Strawberry Hi-Chew will have you dreaming of strawberry fields. Mango: Tropical flavor taken to the max! Mango Hi-Chew will transport your taste buds to your favorite island oasis. Green Apple: Just tart and sweet enough to make your mouth pucker. The big, bold flavor of Green Apple is like biting into a juicy Granny Smith apple. The Hi-Chew Spring Mix bag (6.53 oz.) is now available in select retail stores, including Walgreens, K-Mart and more for $3.49. As Hi-Chew continues to engage and grow its fan base throughout the seasons, stay tuned for additional new and exciting flavors and package varieties to be released.